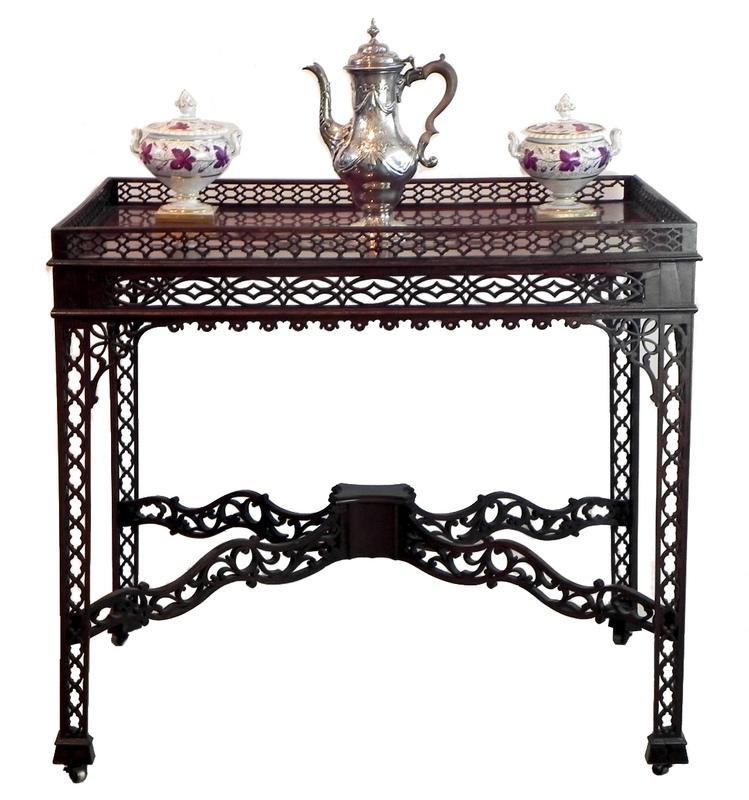 Our period silver table from England is made of mahogany and dates from the 18th century. To find it in this state of preservation is rare. This George II table has also been referred to as Chinese-Chippendale. It’s primary use was for holding tea and coffee services and accessories, such as this 18th c. Georgian coffeepot or porcelain tureens from Flight, Barr & Barr of Worcester, England. Please contact us for further details on any of these pieces.